19th Cent Wheelwright's Wooden Traveller with large iron bolt. 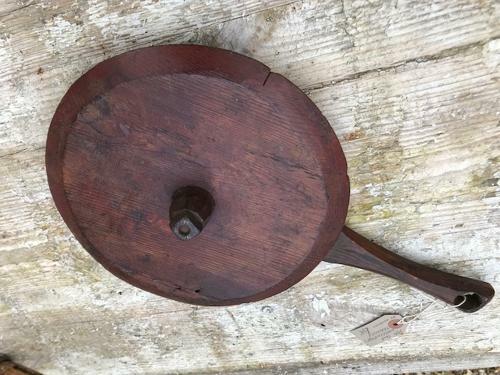 Used to measure the circumference of a cart wheel against flat metal. More unusual being of wood and not metal. Good early example.